With over a decade long legacy of delictable desserts and one of the first stand-alone patisserie's in Bangalore, Spoonful of Sugar has swayed the hearts of many. 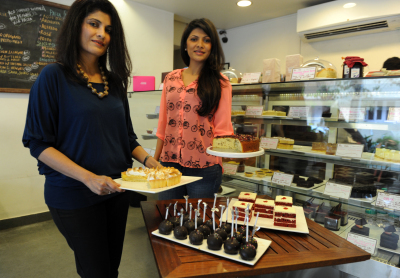 Staying true to the vision of owners and mother-daughter duo, Sangeeta & Cordon Bleu Chef Yuvna Damani, Spoonful of Sugar's desserts are made with the freshest and most premium ingredients. Here you will find bakery classics alongside the very latest is eclectic and popular desserts and confectionaries. We offer made-to-order café fare such as salads, sandwiches, dips, entrées and pastas as well as a full array of blended, hot and cold coffee and tea based beverages, making it the perfect spot for everything from a hearty lunch to pure sweet over-the-top indulgence! All our dessert and savoury products are prepared from scratch by our in-house kitchen staff who follow prime standards of professionalism and cleanliness. At Spoonful of Sugar we are dedicated to provide attention to the finest details: great food, gracious service, warm atmosphere, heady aromas, and irresistible displays. 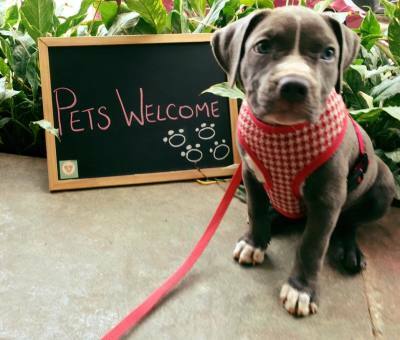 Spoonful of Sugar is also proud to be one of Bangalore's few pet-friendly cafés that offers it's furry customers an array of tasty treats to enjoy too!